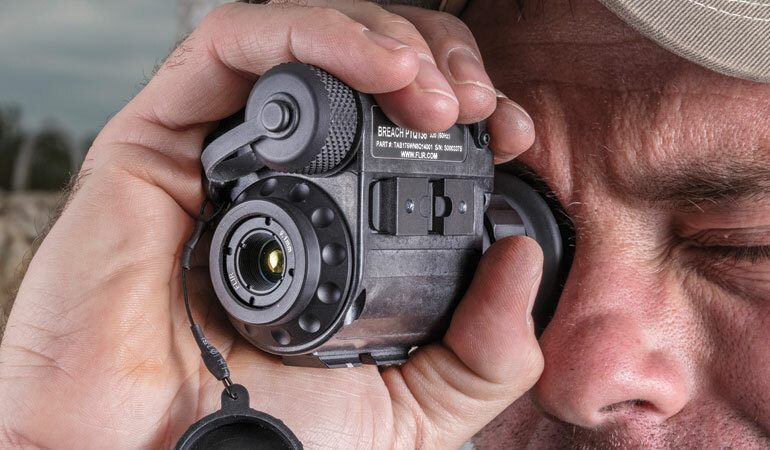 Built to enhance the effectiveness of law enforcement personnel and outdoor gurus, the FLIR Breach PTQ136 320 x 256 Thermal Monocular passively detects the thermal signatures of objects and allows you to spot suspects, intruders, wildlife, and other warm objects in total darkness. Additionally, due to the nature of thermal imaging, it allows you to see through smoke, fog, and light foliage. 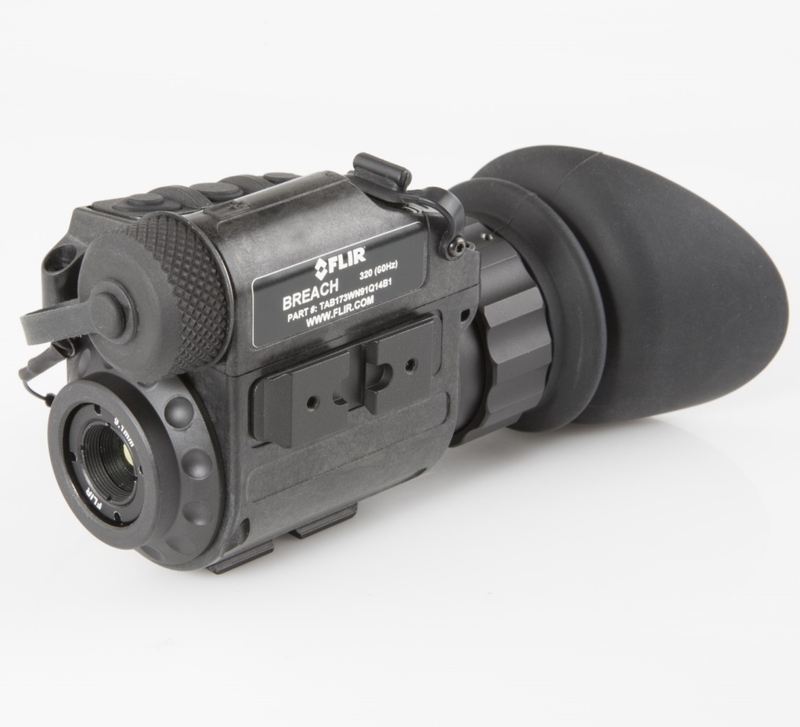 To provide penetrating thermal vision, FLIR outfitted the device with their Boson VOx microbolometer, featuring a 320 x 256 pixel resolution, long-wave infrared sensitivity, and a 60 Hz refresh rate. With the help of internal electronics and a 1280 x 960 Quad-VGA FLCO display, you can view or save high-contrast imagery and enhance it with FLIR's proprietary Digital Detail Enhancement feature with seven color palettes to choose from. 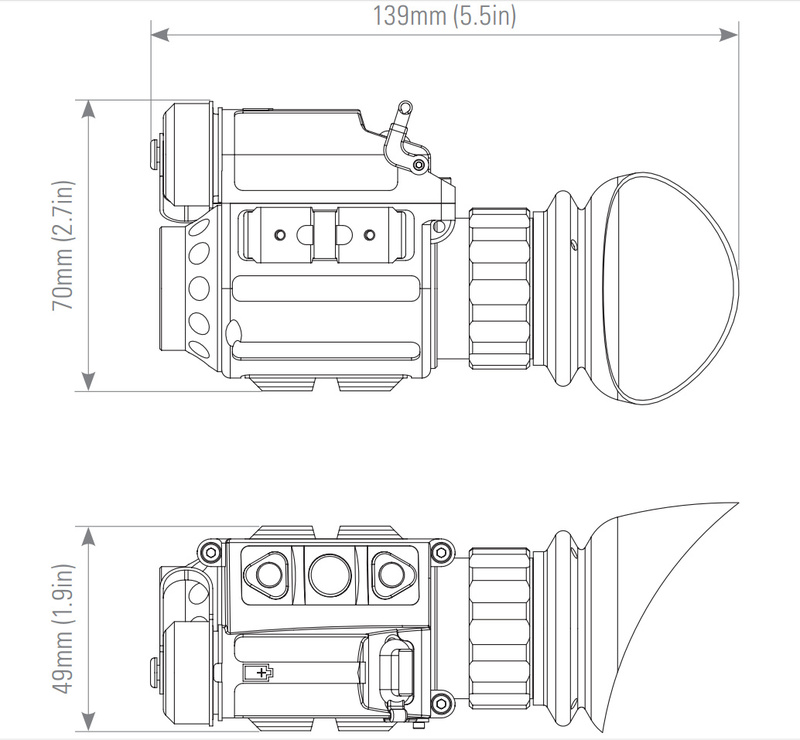 To enhance your viewing experience, the device provides 1-4x digital zoom and a short 0.82' minimum focusing distance. You can save up to 1000 still images or 2.5 hours of video on internal memory and transfer them later to your computer via a built-in USB Type-C port. To ensure functionality anywhere you go, the lightweight (7.4 oz) and durable polymer body is waterproof (rated IP67) and impact-resistant. The device also provides a wide winged rubber eyecup to ensure comfortable contact with your face and to prevent leakage of light. 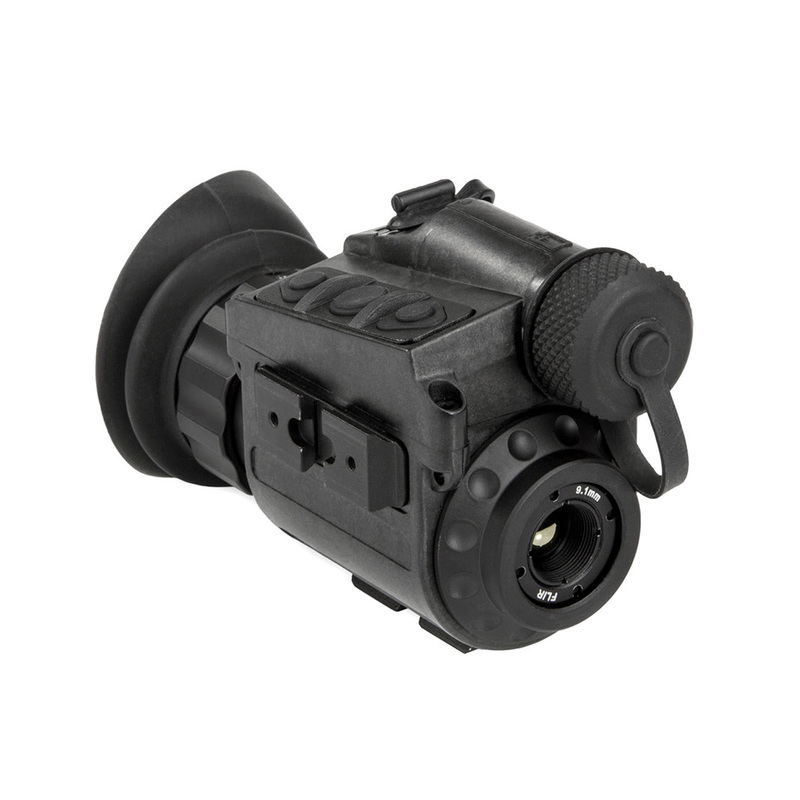 On the right side, you will find a short mounting rail, compatible with many optional FLIR adapters, for attaching the monocular to headgear or firearms. On the top, it has a control pad with buttons and a CR-123A battery compartment with a tethered cap. Box Dimensions (LxWxH) 11.1 x 10.5 x 7.1"